If you have never driven in Britain before, it is a good idea to take a refresher driving course with us to familiarise yourself with the road systems and traffic signs. Subject to certain conditions, you can drive in the UK for 12 months with a valid driving licence issued in another country, and as long as you fulfil the minimum age requirement (17 for motorcars and motorcycles). 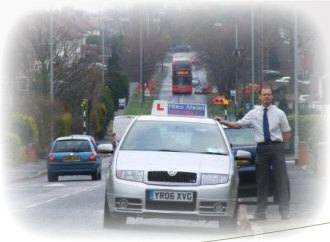 With a valid European Community licence, you are authorised to drive in the UK. You can if you wish apply to exchange it for a UK licence. To exchange your driving licence, complete application form D1 (available at Post Offices) and return it to the DVLA, Swansea SA99 1BT with your current licence and the correct fee. If you hold a driving licence from a country other than those listed above, you can drive any category of small vehicle shown on your licence for up to 12 months from the time you became resident in the UK, providing the licence is still valid. If, after 12 months, you wish to continue driving in the UK, you must apply for a Provisional British licence and pass a Driving Test before the 12 month period ends. If you receive your Provisional licence before the end of 12 months, you are not required to follow some conditions applicable to Provisional UK residents (e.g. displaying ‘L’ plates, being supervised by a qualified driver, prohibited from using motorways). Be warned: if you do not apply within this time period, you must stop driving and obtain a Provisional Licence with a view to passing a Driving test and full Provisional Licence conditions will apply. If you do not pass a test within the 12 months concessionary period, you will not be allowed to drive as if you are a full Driving Licence holder, and Provisional Driving Licence conditions will still apply. The information above is intended as a guide only. The DVLA’s information leaflet D100 gives a fuller explanation. Their leaflet INF38 covers driving in Great Britain as a visitor or a new resident. Both are available at the Post Office.